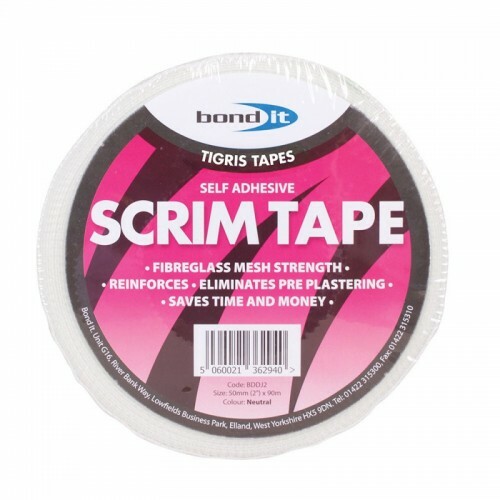 A high strength, 100% fibreglass close weave (9 x9 per sq inch) mesh scrim tape that will not bliser or bubble. Has a self-adhesive backing for easy application. Eliminates the need for pre-plastering, provides extra reinforcement and saves time and money. Total weight – approx. 70 gsm. For joint finishing, crack and hole repair. Suitable for use on drywall and plaster walls and ceilings.